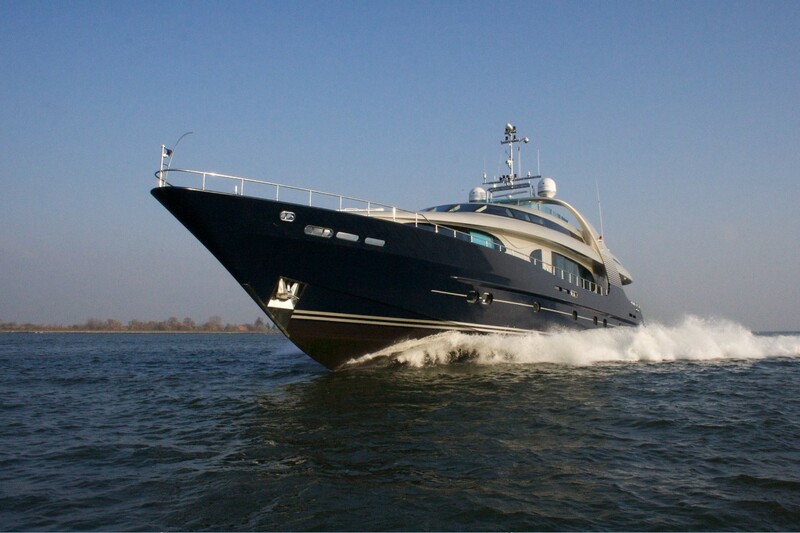 Luxury motor yacht ONE BLUE (ex BLUE MAMBA, MAMBA) is a 2009 38,75m (127' 1") Oceanline superyacht which was designed by Frank Mulder with interiors by Art-Line Interiors from the Netherlands. 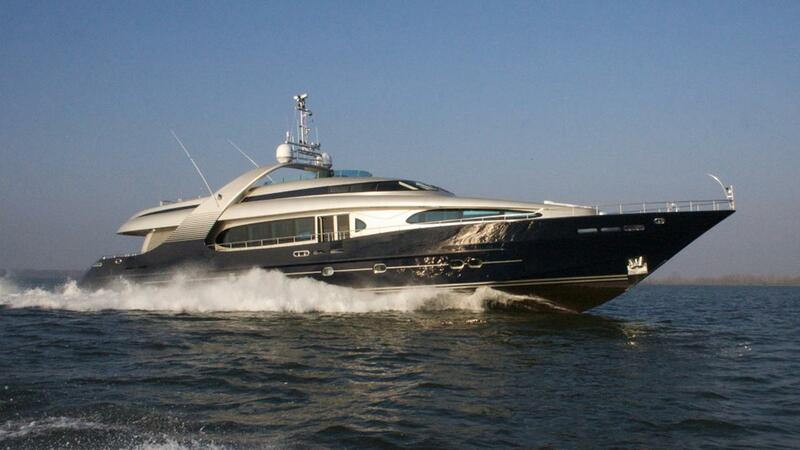 With a maximum speed of 28 knots, she is able to comfortably and quickly cruise between your ideal locations. 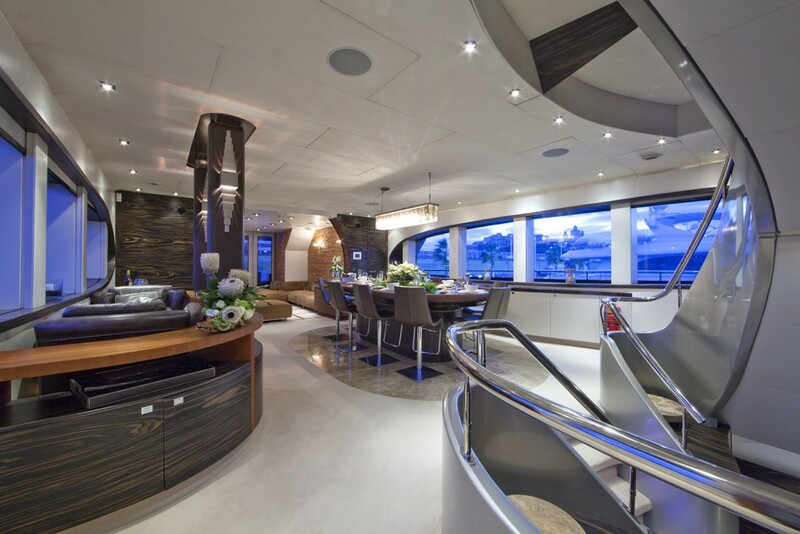 ONE BLUE's interior styling makes beautiful use of natural textures and woods to create a very relaxed, yet contemporary theme. 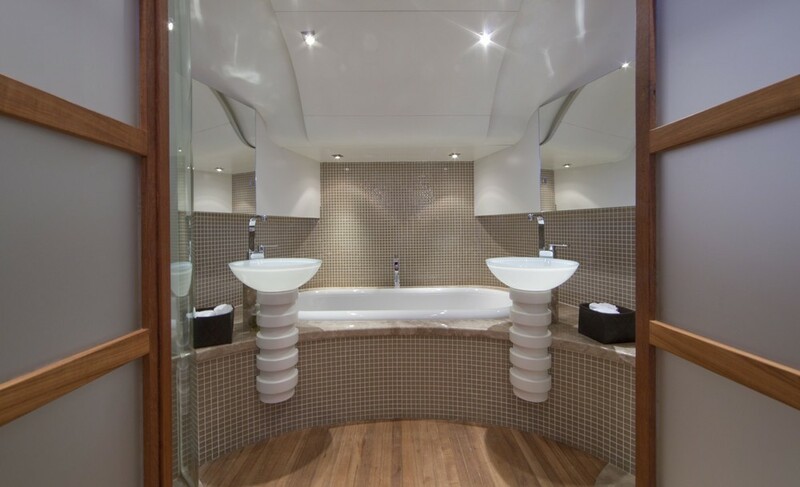 Please click on the images below to see the quality of the workmanship and design work. 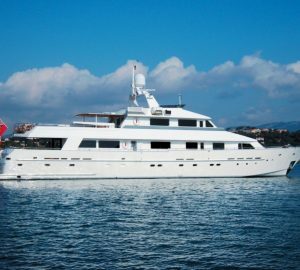 ONE BLUE yacht can accommodate up to 12 guests in 6 cabins, which is very impressive for a yacht of her size. 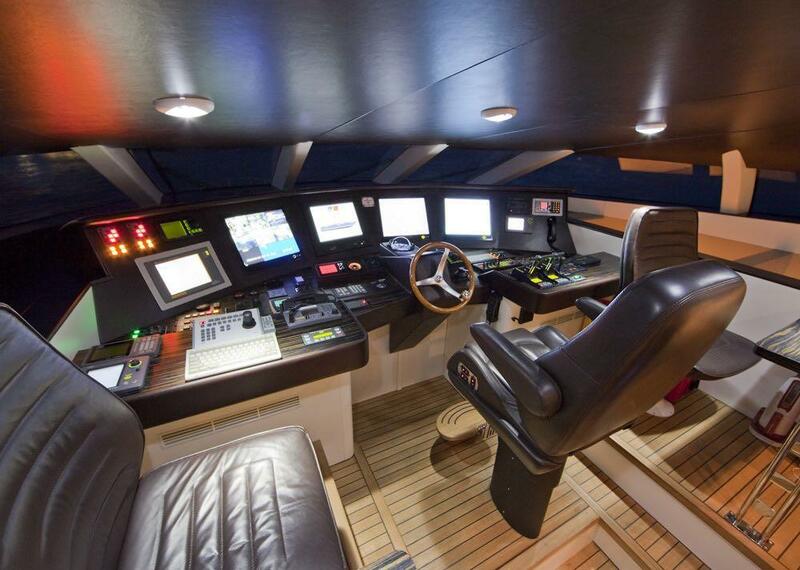 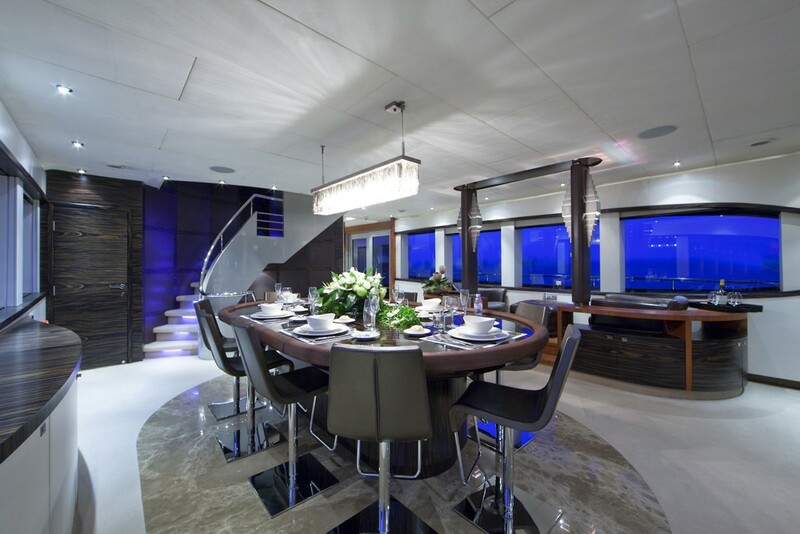 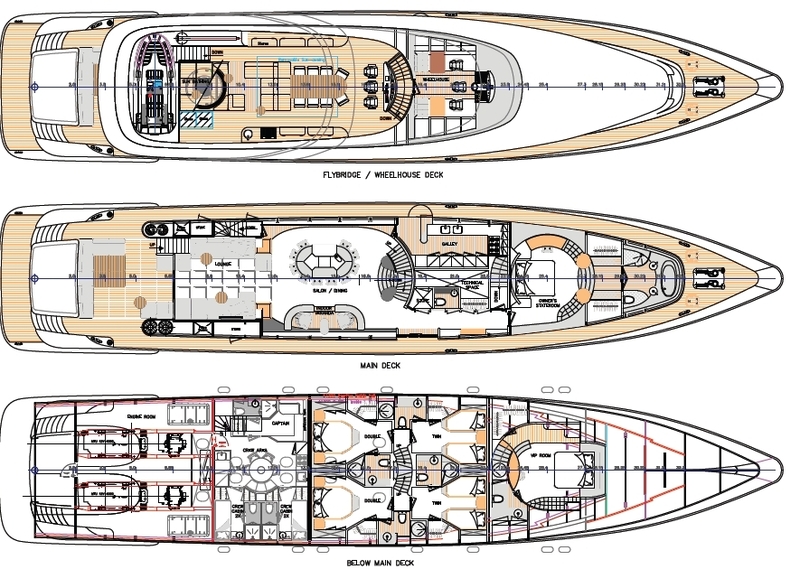 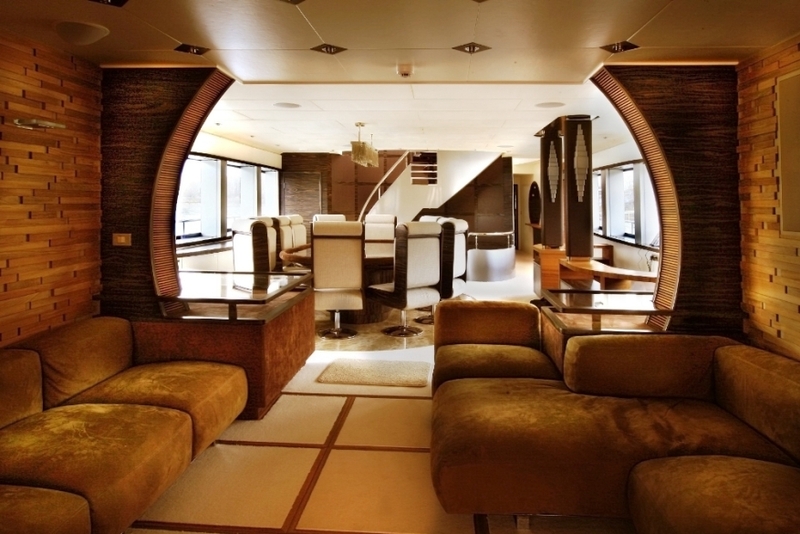 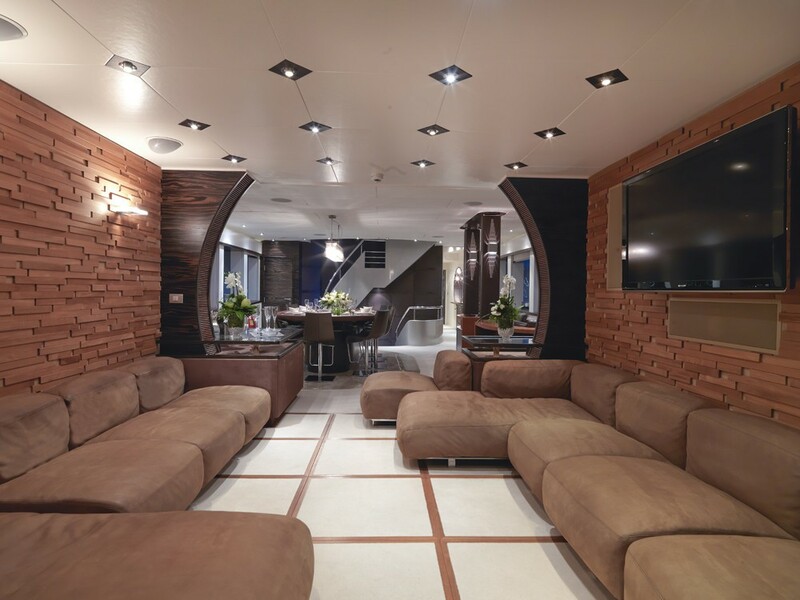 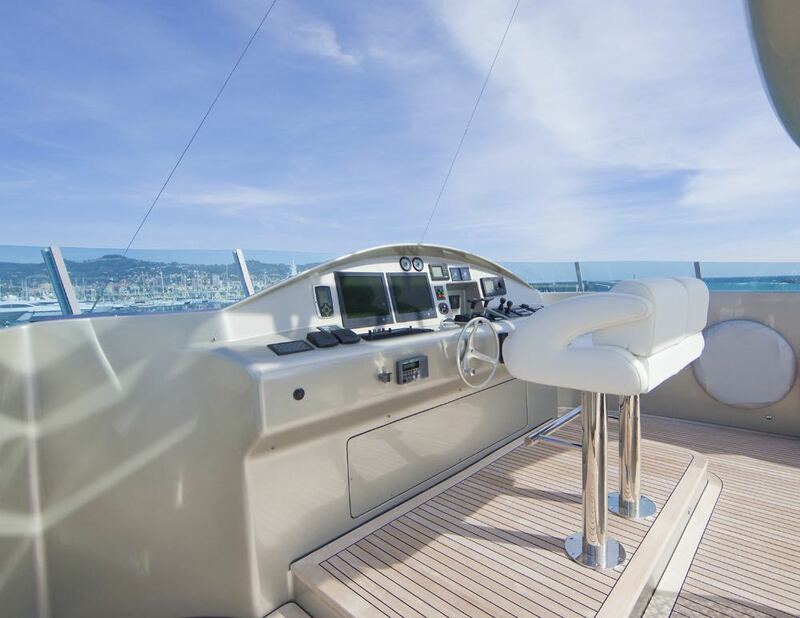 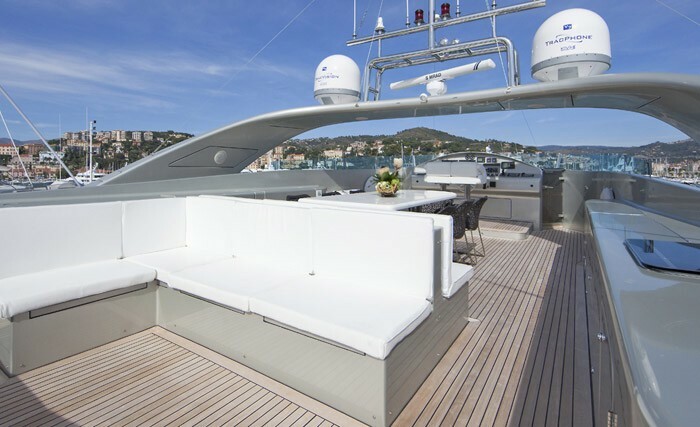 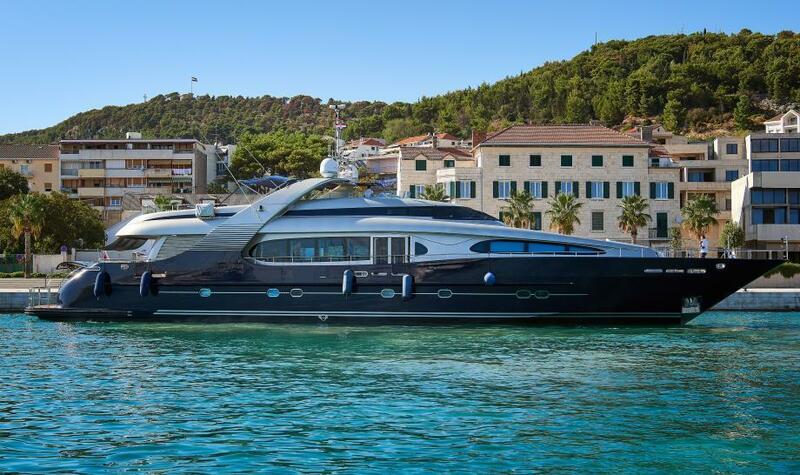 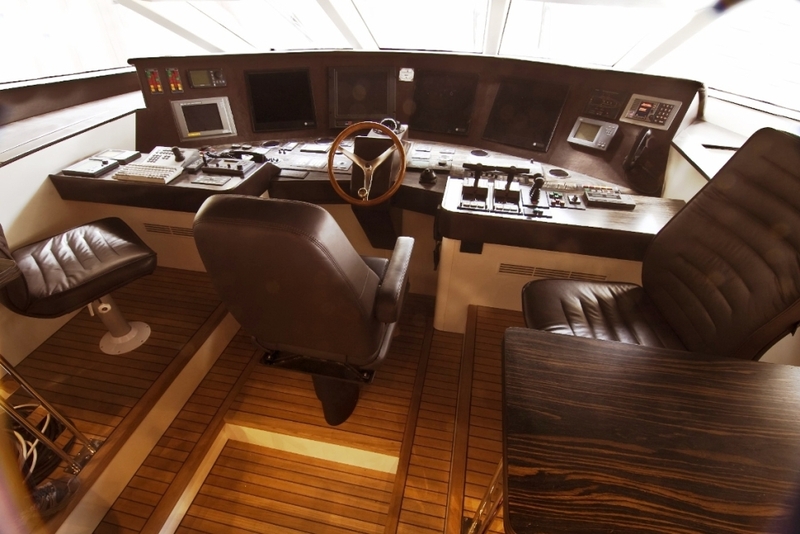 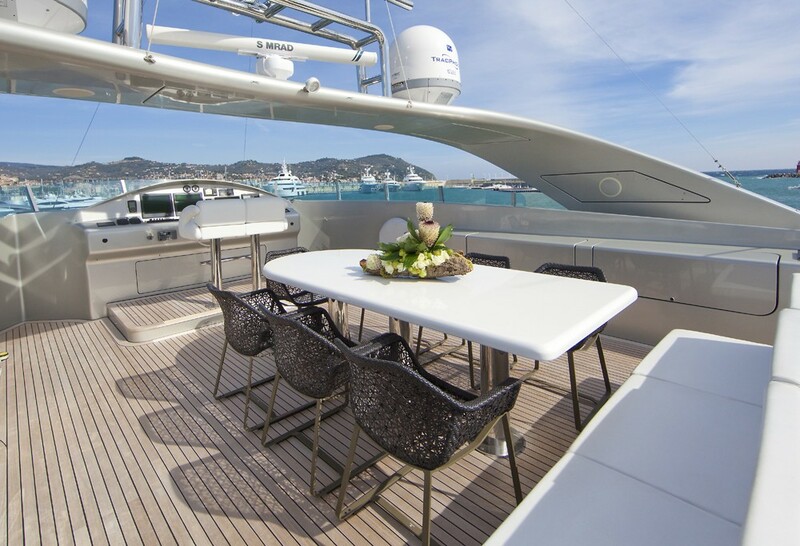 Her layout includes a magnificent forward master cabin, which is positioned up, on the yacht’s main deck. 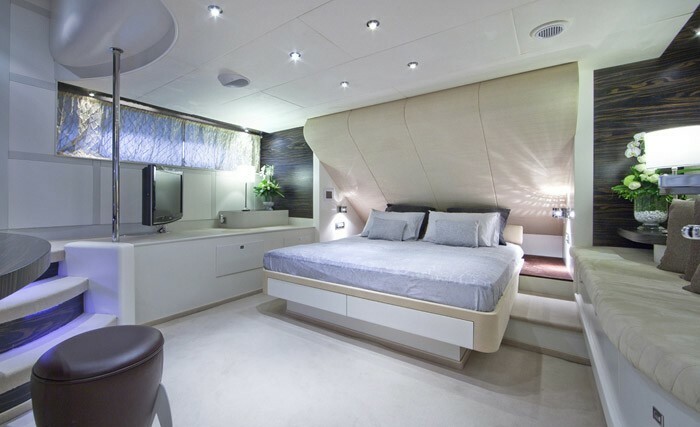 She also has a very comfortable VIP Stateroom with a Queen sized double bed, two double cabins and two further twin cabins. 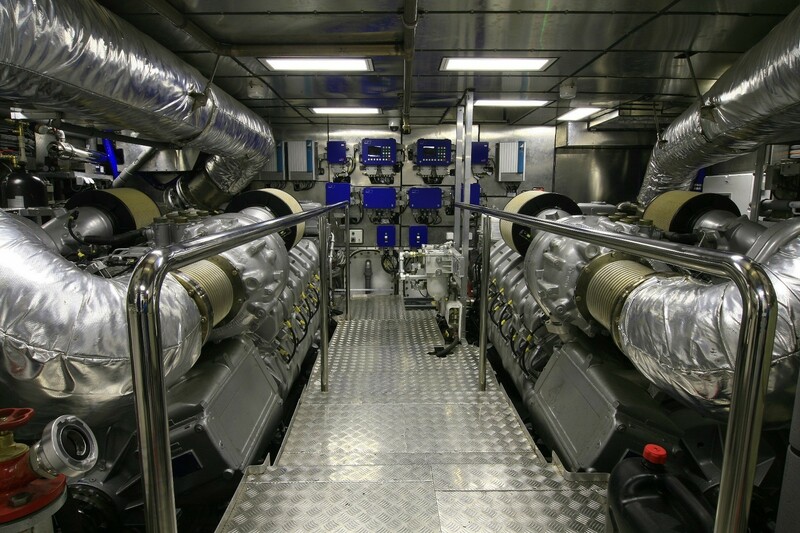 Motor yacht ONE BLUE's two MTU 12V – 4000 – M90 diesel engines give her up to 28 knots, yet she can cruise at 15 knots for excellent fuel efficiency. 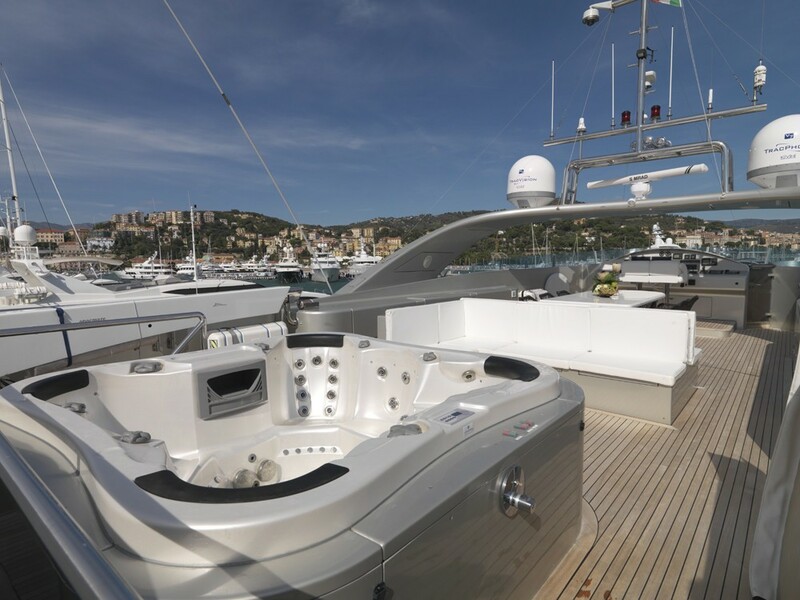 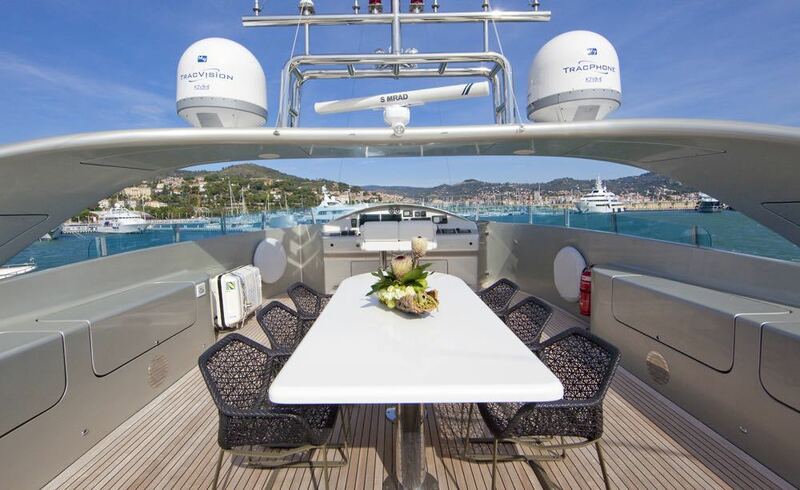 The superyacht also offers a good selection of water toys – see below for details. 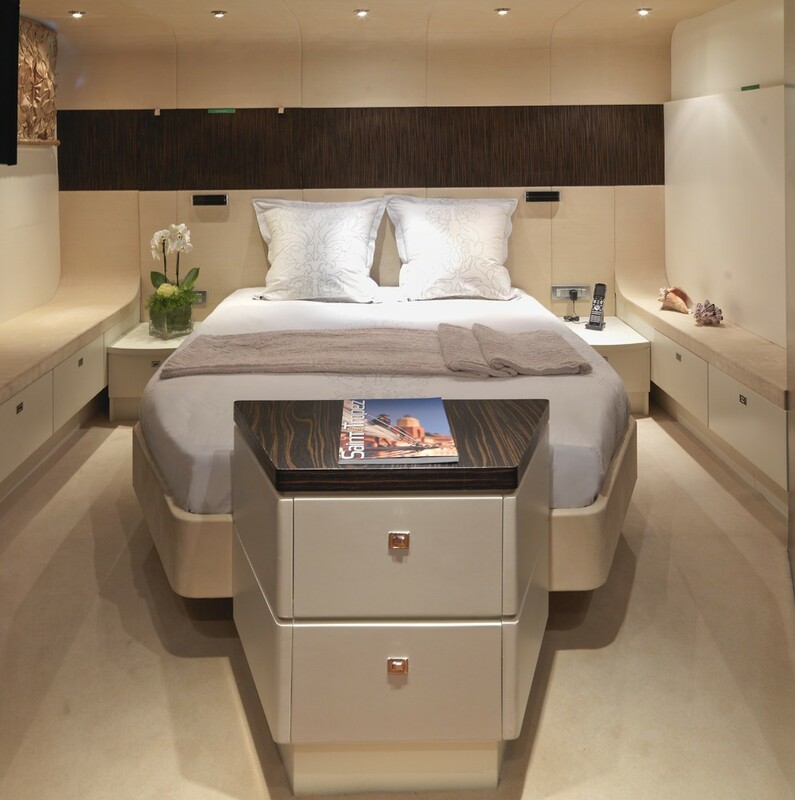 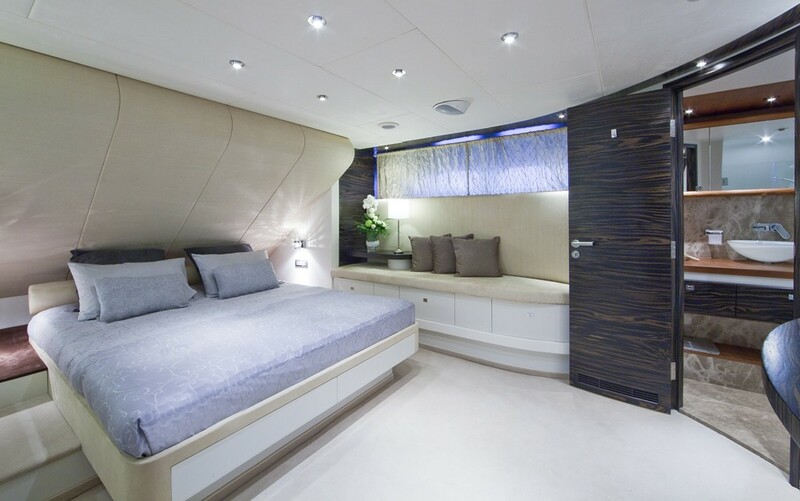 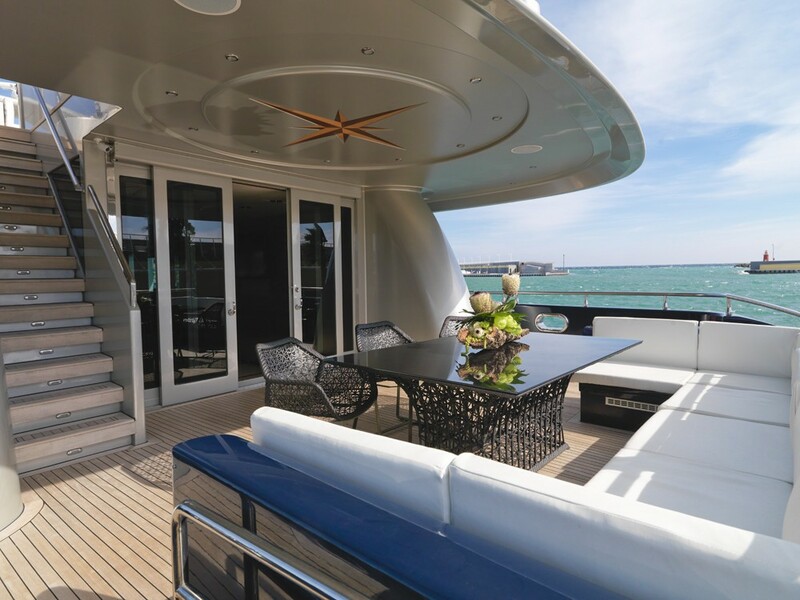 The master suite is located on the main deck forward and spreads the entire beam of the vessel. 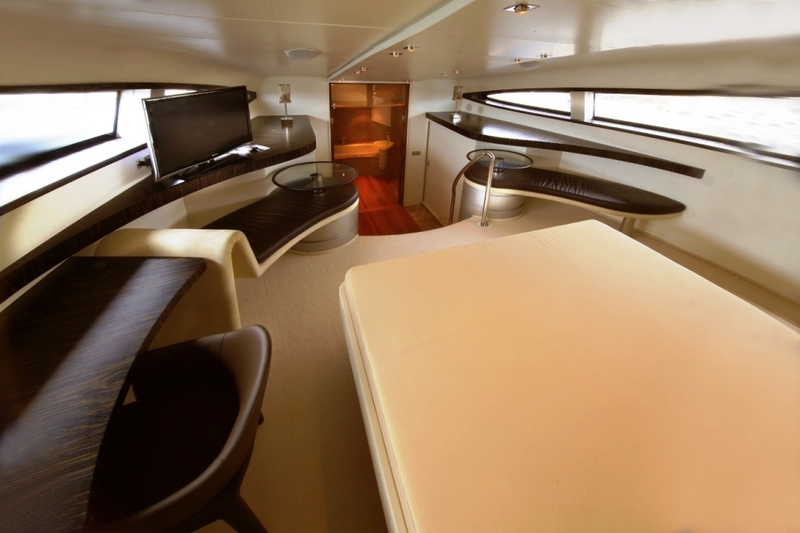 This stateroom has fabulous panoramic views, a large king-sized bed, a desk, electric blinds, a large TV and a generous closet. 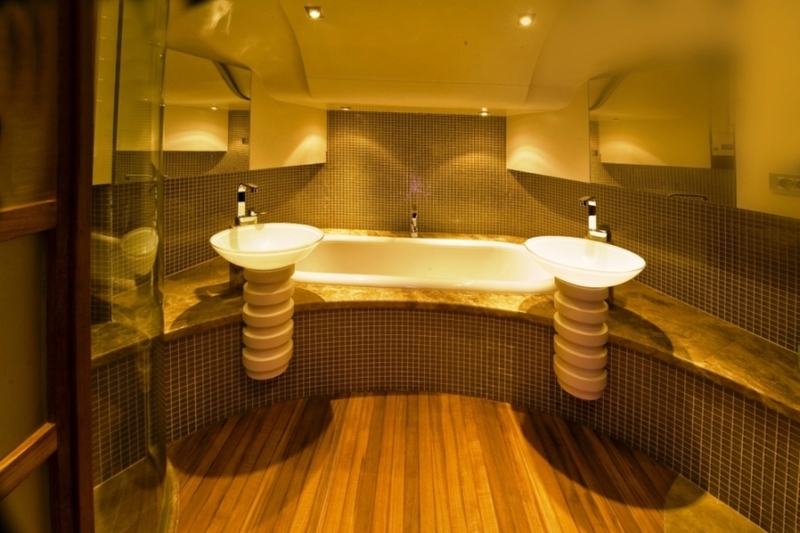 The sunken ensuite bathroom is equipped with shower, a bath tub and two basins. 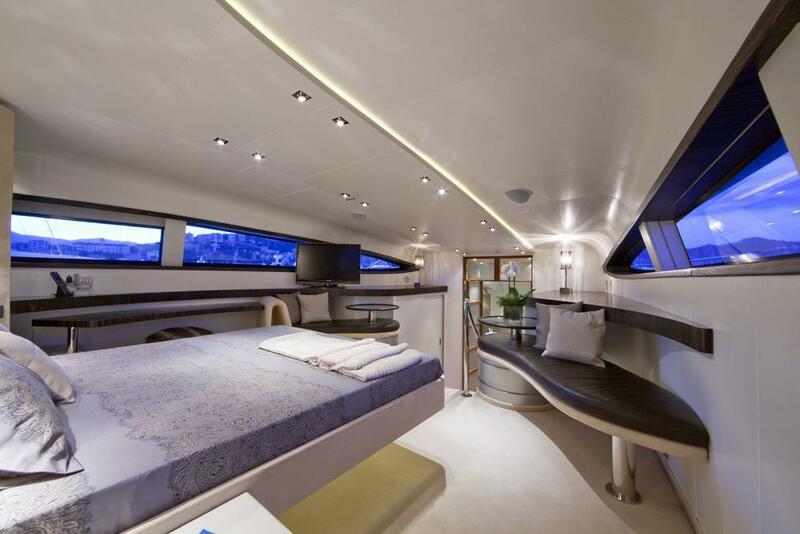 Further accommodation is located on the lower deck, and includes a spacious VIP cabin with a queen bed, TV, wardrobe and ensuite bathroom with a shower. 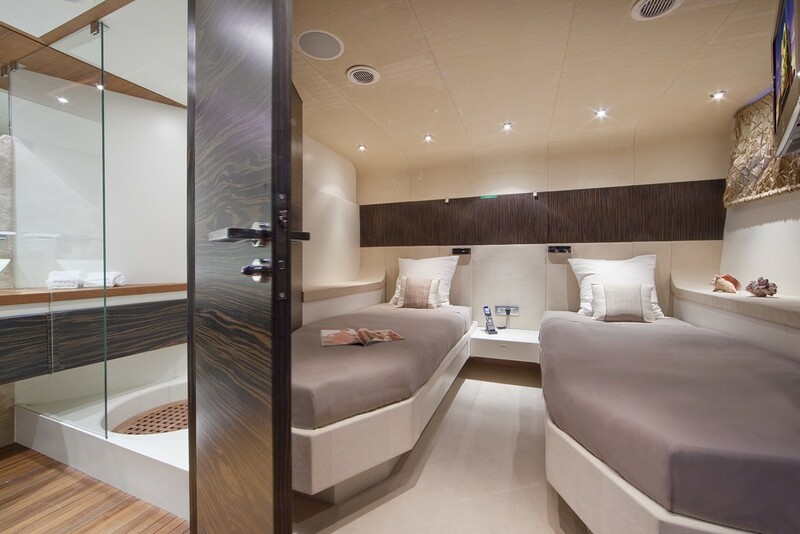 The two double cabins are identical and offer double beds, a TV, wardrobe and ensuite bathroom with shower. 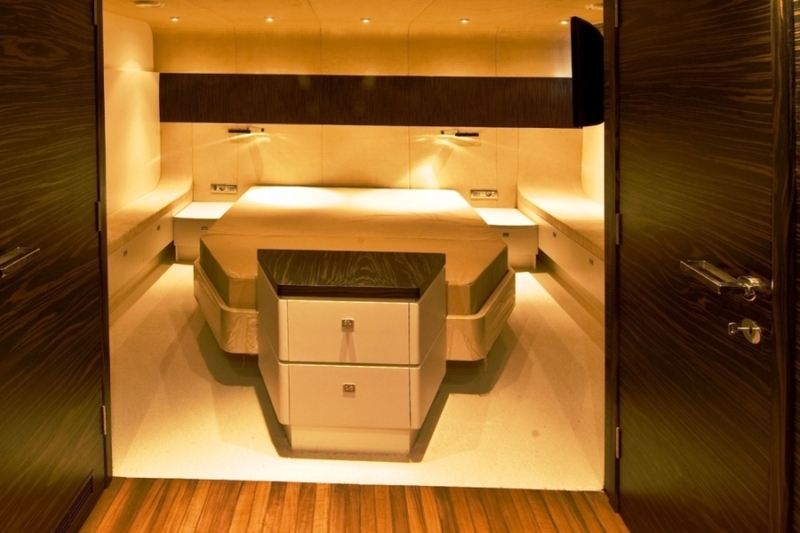 Twin cabins are both located near the double cabins and have good sized single beds with a side table in between them, a TV, wardrobe and ensuite bathroom with shower.